Wolcott Hotel v New York, USA: Zarezervujte nyní! 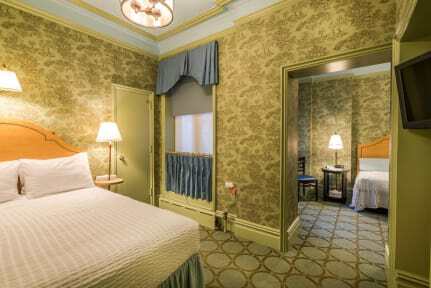 Affordable Luxury in the Heart of New York City. Our beautiful Manhattan is over 100 years old and still maintains the building’s original architectural details, which adds a wonderful charm and originality you won’t find at other hotels in the area. From our helpful concierge services to our on-site fitness center, we have everything you need for an enjoyable, productive stay in New York City. And with rates at three times less than most other NYC hotels, we are the perfect starting point for your affordable and unforgettable vacation to the Big Apple. We have been written about in many domestic and international guides. Hotel accommodation at hostel rates. The Wolcott Hotel’s location simply cannot be beat. We’re located just three blocks from New York City attractions, including the Empire State Building, and within walking distance of Rockefeller Center, the Javits Center, and most subway lines and transportation hub. The Wolcott Hotel offers stylish, spacious rooms with modern amenities like TVs with cable, safes, and telephones with voicemail. Check out before 12:30 . Payment upon arrival by credit cards (Master Card, Visa, Amexican Express Card), debit cards. Taxes not included - 14.75% (State Tax-8.875%, City Tax-5.875%) + Occupancy Tax 2.00 USD and Javitz Tax 1.50 USD per person per night. 18 years and older with personal credit/debit card and ID.